Ariana Grande shares a cryptic post presumably directed towards her ex Pete Davidson. 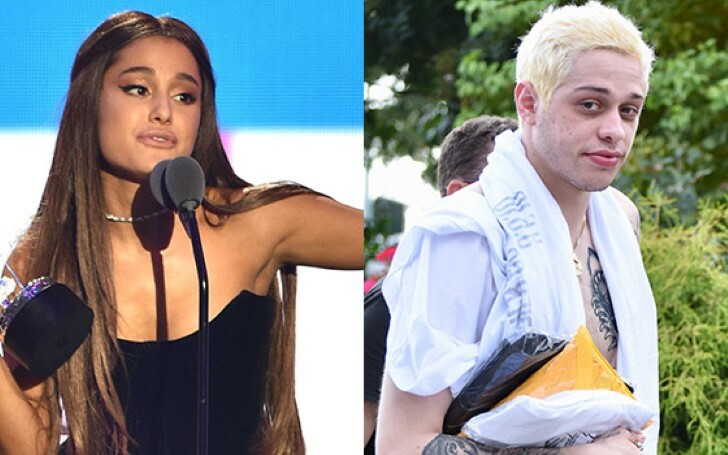 The pop star Ariana Grande posted a cryptic message on her Instagram stories on Thursday which presumably is an ode to her past relationship with her ex-fiance, comedian Pete Davidson. 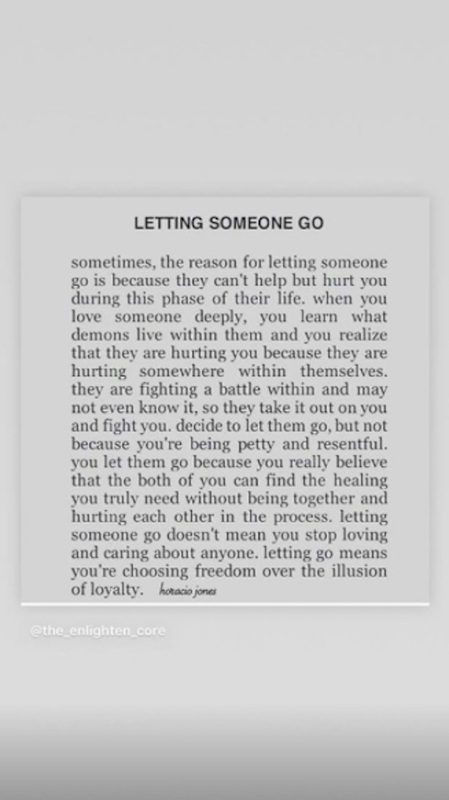 The “Thank U, Next” songstress, shared a screenshot of a quote titled, “Letting Someone Go” written by author Horacio Jones. The pop star Ariana Grande posted a cryptic message on her Instagram stories. The quote continued: “Decide to let them go, but not because you’re being petty and resentful. you let them go because you really believe that both of you can find the healing you truly need without being together and hurting each other in the process. letting someone go doesn’t mean you stop loving and caring about anyone. letting go means you’re choosing freedom over the illusion of loyalty. Grande and the “Saturday Night Live” star started dating in May 2018 and confirmed their engagement the following month. Shortly after their engagement, they announced their split in mid-October on the same year. 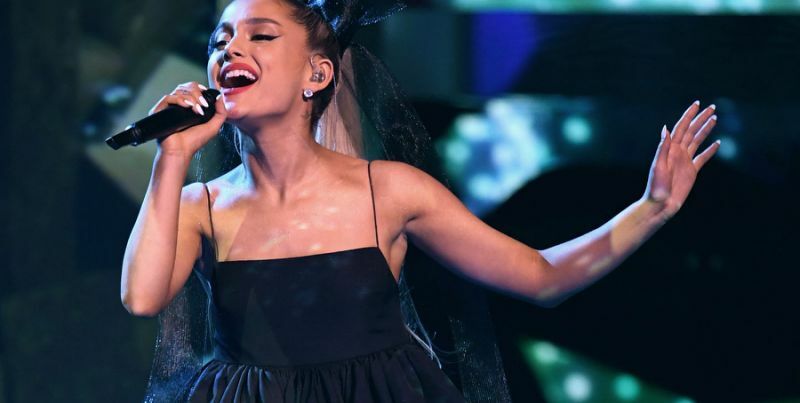 The pop star Ariana Grande made headlines for paying tribute to her late ex-boyfriend Mac Miller. Two months after they ended their four-month engagement, the comedian posted an alarming suicidal message on Instagram. Grande made an attempt to see him following the message, but he refused to engage with her as she tweeted she would stay in the lobby of the Saturday Night Live building for as long as it took. Since then, Davidson is currently in a new relationship with actress Kate Beckinsale. The couple made headlines after they were spotted cozying up at a Golden Globes after-party. Meanwhile, Grande is focused on her career, as she released her latest album, titled Thank U, Next, before embarking on the Sweetener tour, her first since the Manchester attack. According to a source, Ariana was really living her life after releasing her album 'Thank U, Next'. "After 'Thank U, Next' came out, Ariana was really living her single life and being with her friends, learning about herself. But after a couple of weeks, she was trying to figure out what went wrong with her past relationships." The source further confirmed the singer attempted to make amends with her exes Big Sean, Ricky Alvarez, Davidson, whom she called out on her hit song "Thank U, Next" before beginning the world tour. "She didn't want any bad blood holding her back from the next phase of her life. She has reached out to her exes to have a positive place in her life right now and for peace of mind, so she can focus on herself and this tour, which is the only thing on her mind right now." Recently, Grande also made headlines for paying tribute to her late ex-boyfriend Mac Miller during the first show of the tour.